Sometimes bigger is better, but that is not always true. Sometimes a smaller knife will serve better, and for those times, it is best to have a blade like this Forest Camo Survivor Knife at your side, ready to go at a moments notice. This knife is similar to other survival knives and hunting knives that are featured the world over for their utility, possessing only a smaller blade that is easier to use in tighter quarters. The blade possesses a wicked curve and a great point, making it effective at slashing, hacking, and stabbing. The reverse edge of the blade features broad, ridged teeth and fine serrations, ensuring that it can grind and saw through materials with ease, too. 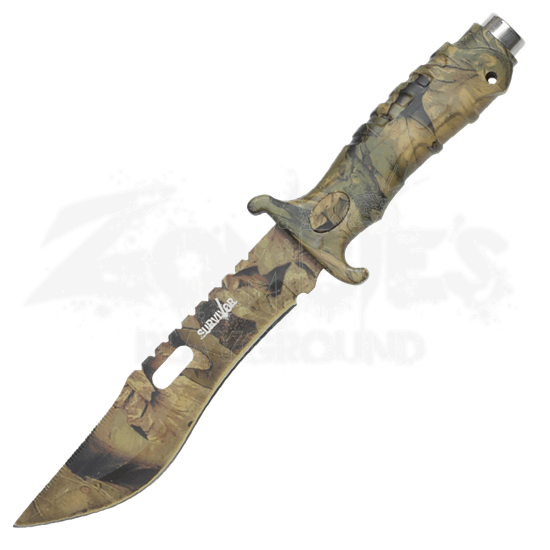 The guard has a short, double-curved design that will keep zombies and other things from sliding down to your hand, while the contoured grip ensures that your hold remains solid, on your knife if on nothing else. The knife measures approximately 10.5 inches long. Its blade is made from quality stainless steel, and the whole knife features a camouflaged treatment that makes this baby a wonder to wield when you are out in the woods. It includes a nylon sheath that can be lashed to your pack or worn at your side with a belt. When it comes to survival, do not skim on the necessities, but do not overload yourself either. 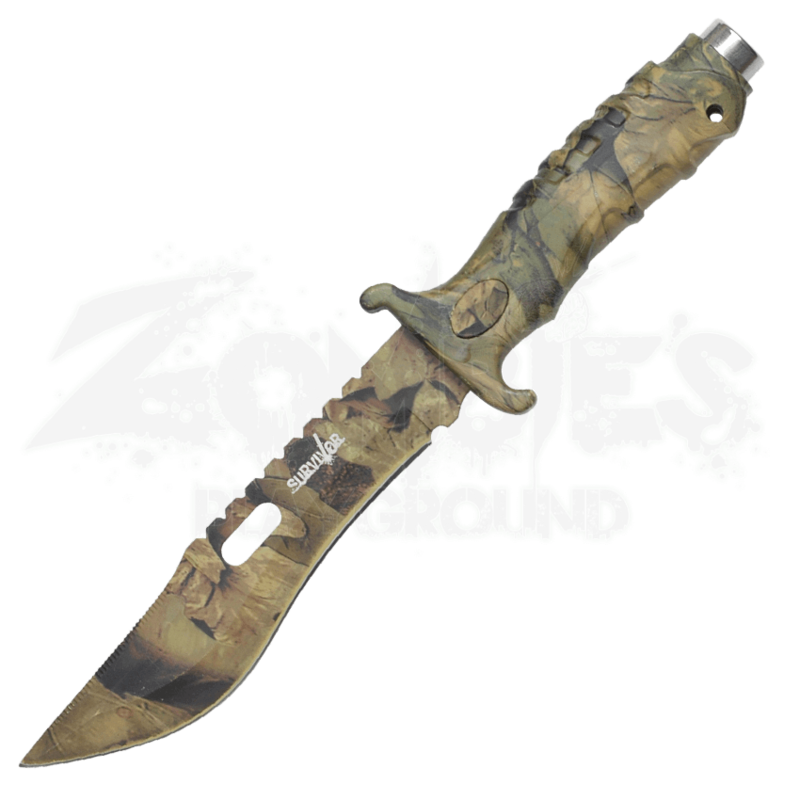 So when you are picking out your knife, consider what you need out of it, and if you need a smaller knife, then pick up this Forest Camo Survivor Knife, since versatility will be a saving grace in any piece of equipment you use.